In November last year, I was left disappointed for two reasons — the October heat was in no mood to ease out and I was going to be out of town on the same weekend that William Dalrymple was in the city for the fifth edition of the Literature Live! Festival. I was hoping to get his autograph on my copy of The Last Mughal. But, as my friend reminded me, he comes to Mumbai almost every year and he is always at the Jaipur Literature Festival, too (being a director). And, not to forget, he presents talks and readings at festivals in Goa, Chandigarh and several other cities as well. Most of the events seem like clones of each other, attracting almost the same people every time. So, what is it about these gazillion cultural festivals that people throng to them every year? It can’t be just celeb-spotting — you’ll rarely find a Shah Rukh Khan or Amitabh Bachchan dancing for the crowds. It’s much more than that — and maybe people do care for things beyond Bollywood and cricket after all. Till probably a decade ago, you’d seldom find the ‘mainstream’ crowd at a visual arts festival or attending a literature festival to hear their favourite authors wax eloquently on the dais. Earlier, most culture fiends headed for music festivals ­— but today you have as many people, or maybe more, lining up for an arts festival as there are heading to NH7 or Sunburn. “Earlier, we had to beg people to perform. 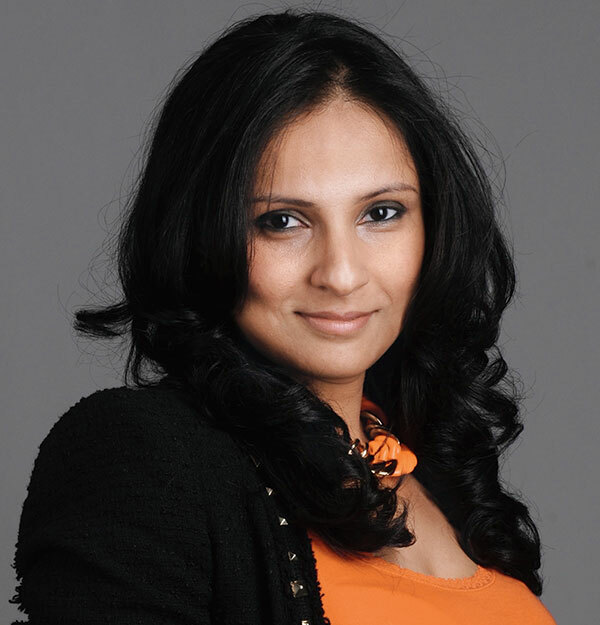 Now, fortunately, there are people who are dying to perform with us, especially if its music, dance, or outdoor events,” says Brinda Miller, co-director of the 16-year-old Kala Ghoda Arts Festival (KGAF). As almost all festival producers agree, getting started is the most difficult part. It takes a great deal of planning and preparation to get partners, sponsors and participants to make sure the events go well (not to forget the permissions from 200 different government departments to host an outdoor function). 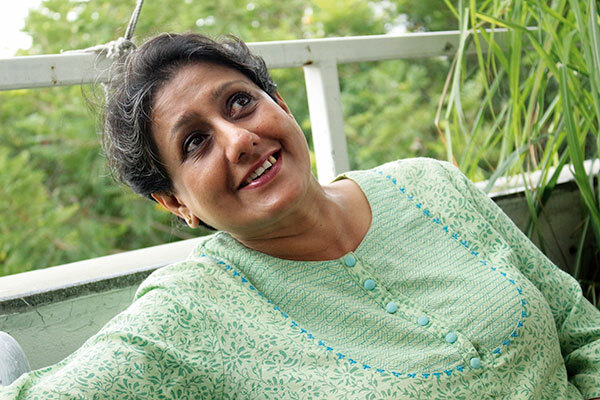 But, as Mita Kapur, founder of the literary agency Siyahi and producer of the Mountain Echoes Literary Festival opines, “The biggest challenge is fund-raising. I feel like I’m perpetually carrying the begging bowl.” All this is worth it, though, when the hordes return year after year — also one of the many reasons these festivals are far from dying out. “The greatest satisfaction is when people come to us every day and say ‘Thank you for giving this to us’. 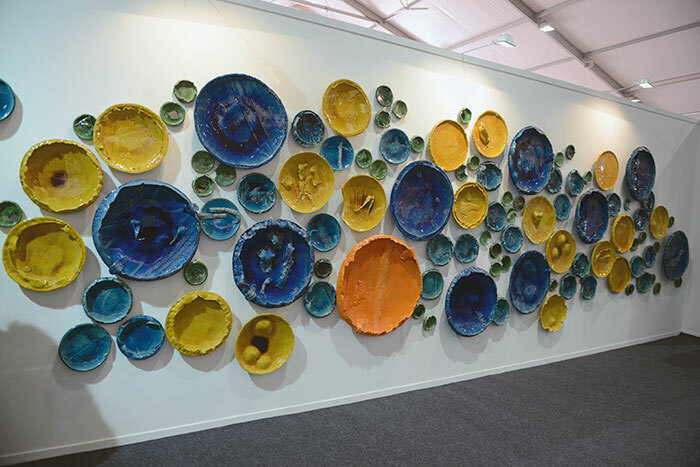 That’s a big thing for KGAF — it makes me want to do the next one and the next one,” Miller admits. And, of course, with the passing of each year, the organisation of it all gets easier too. Nothing can survive without demand, and today, the number of festivals is at its peak. 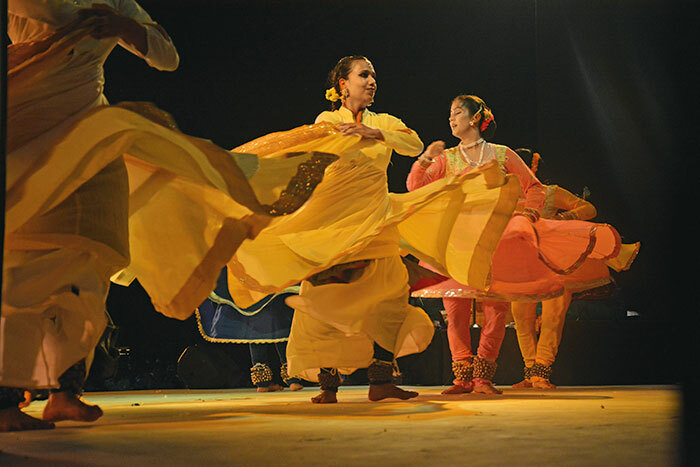 Though there are those that focus on multiple streams like the KGAF or the Shillong CALM (Creative Arts, Literature and Music) Festival, each creative field has a dedicated eventof its own. The NCPA in Mumbai frequently hosts theatre festivals, music buffs head to Sunburn, Mahindra Blues and NH7 (and there’s even the Rajasthan International Folk Festival for fans of Indian ragas); Goa has around four photo festivals in the span of a few months; MAMI and IFFI are as film oriented as they can get — and that’s just a fraction of the number of cultural festivals in the country. The lit fests stretch from Jaipur, Hyderabad and Lucknow, to Chennai, Mumbai (that last year hosted two fests in the span of one month — what a delight for lit fest lovers! ), Bengaluru and even Bhutan. “We bring to the platform writing that deals with a range as broad as ghost stories to climate change, impact of social media, travel, food, environment, photography, poetry, folk and mythical traditions — it’s a delectable assortment and serves up quite a platter!” says Kapur, about the Mountain Echoes Literary Festival in Bhutan. Most of these events offer similar content — book launches, panel discussions, author interactions, and writing workshops — yet each one has its takers. 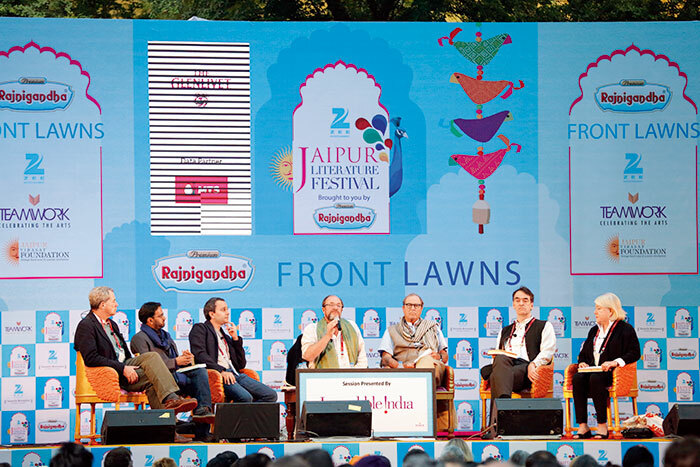 And the Jaipur Literature Festival, the self-proclaimed “largest free literature festival on earth” recorded a whopping 2,45,000 footfalls at their 2015 edition. Like Kala Ghoda, even other fests have grown through simple word-of-mouth publicity and successful line-ups year after year. Kapur believes there is a genuine spirit in many festivals and we need more of this feeling. 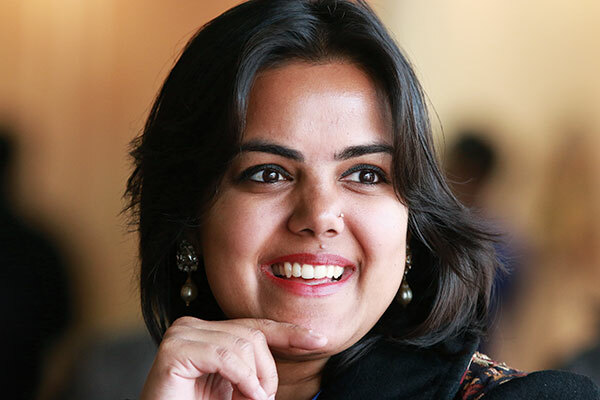 “There are some really cool fests like Comic Con, Sufi music fests, design fests and dance ones that are fantastic. We need more genre-based festivals in India. I am dying to do a cinema and literature-focused festival,” she says. One cannot deny that though day by day there is news of more fests — each one basically saying it’s a ‘never-seen-before-but-awesomely-amazing-and-different’ festival — they disappear before the public even gets to know about them. No doubt the organisers may have good intentions, but do we really need film festivals on movies about waste matter and 200 festivals discussing the same books? It’s great to see so much promise and enthusiasm, to have audiences engage with the arts in whatever form, mostly for free or for a nominal price. One can’t ignore that these cultural events give a great platform to artistes and also promote and discover fresh talent (on a side note, I just saw ads on Facebook for three new arts events opening this summer). So lovers of the arts and all things cultural, not to fear — the quality cultural fests will continue to progress, trying to satiate our artistic desires. And for those who are wondering, I finally did get Dalrymple’s autograph on my tome, by requesting a friend to go for one of the many festivals he was attending! The beginning The vision for the India Art Fair has always been to make art more accessible and less intimidating. I am delighted we contributed to the contemporary Indian art scene by making it an example in the creative industry for others to follow. Changing times The middle classes want to engage and associate with culture not just to improve their own cultural education, but also to identify themselves with the element of glamour that has come to be associated with the arts. Festivals are becoming more open, more frequent and more accessible, and that is a reflection of the burgeoning audience. Not just art I think there is enough diversity at the India Art Fair for people to attend just out of curiosity. We have made the experience more attractive with a range of food and beverage options and lifestyle elements, such as a rooftop restaurant and a design courtyard. an increase in awareness in the country. Over the last seven editions, with nearly 5,00,000 visitors, there has been a tremendous amount of public engagement with art — more than there has been in the last two decades. Getting started The Hyderabad Literary Festival (HLF) is a celebration of life and letters. It began five years ago and soon we realised that we would like to reach beyond book lovers. Art and culture blends seamlessly with a literary festival. Facing challenges Each year has required a greater infrastructural set up. We introduced a sound installation this year, and an interactive exhibition on Gandhi — these required very specific technical set ups. We had amazing partners, an organising committee and supporters who ensured that shortcomings were ironed out immediately. Constant reinvention HLF introduced the idea of Guest Nation in the second year: the Goethe-Zentrum Hyderabad brought in German-speaking authors, musicians, theatre persons and a photographer. France, Ireland and Poland brought exciting programmes too. Our ‘Language of Focus’ brings in audiences from that linguistic background. This year it was Urdu: calligraphy was showcased, Javed Saab was our keynote speaker, Tom Alter performed Sahir Ludhyanvi’s biography Parchaayian and Kathak blended poetry and dance. What became an instantaneous success was to have differently-abled authors — writers who wrote about their disabilities could be seen and met. New elements are added each year which enhances the experience and brings in enthusiastic crowds. The launch When a new idea is introduced in a public sphere, the first attempt is the toughest. After the success of the first edition, a festival attracts more collaborators and media attention. This paves the way for people from all societies to attend it. 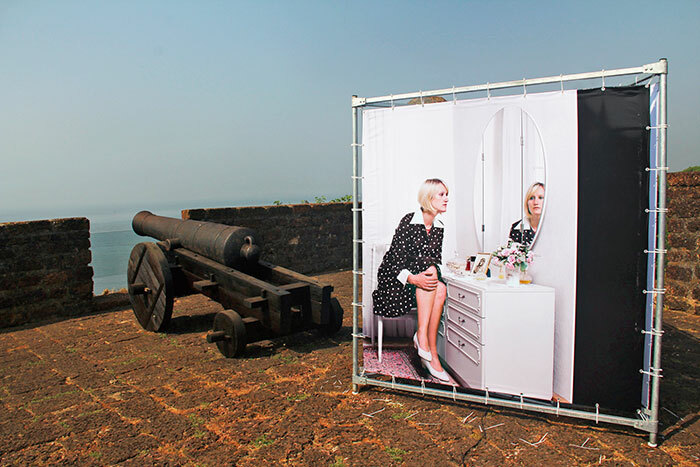 A photo special For Goa Photo, the founders Nikhil Padgaonkar and Lola MacDougall have created magic, and transformed Panjim into an international arena with cross-cultural photography adorning the steps of churches, along the waterfront, in heritage spaces and even in a fort. Clicking away Festivals like Focus, Delhi Photo and others have given the viewers a wide range of content to enjoy and learn about. There is also a significant rise of photography as an acquisition, which many more art collectors are looking into. Too many cooks? I always believe that ‘the more, the merrier’. Art fairs, festivals, biennales and such events are a sign of a healthy industry, and there is always room for everyone! The only downside is that when there are too many festivals, the quality may suffer.